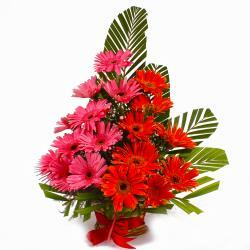 Product Consist : Artesticly arranged 10 Orchids and 6 Lilies with Green Fillers. 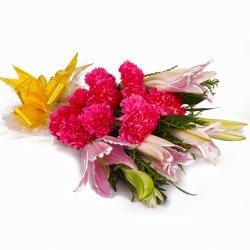 Give your loved ones a reason to smile by pampering them with exotic gifts.This is a very elegant gift of flowers that include Orchids and Lilies of love, joy and happiness. 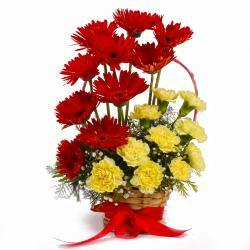 This fresh from the garden flowers are arranged in a stylish round shaped basket and a fancy ribbon bow is tied to its handle. 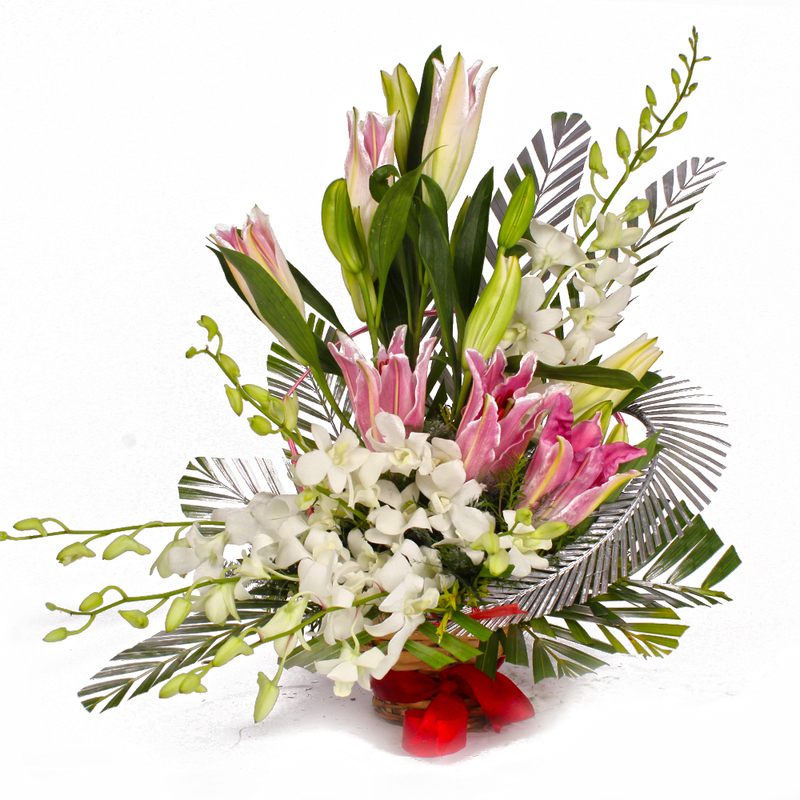 With its radiance and mesmerizing fragrance, this gorgeous basket of sixteen stem of mix lilies and orchids of all set to make your dear ones feel special. 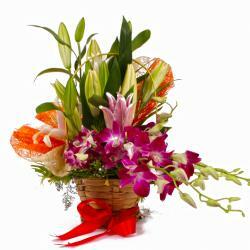 You can gift this exotic floral arrangement on various occasions like Birthday, Anniversary, Best of Luck, Durga Puja, Womens Day Product contains : Artesticly Arranged Basket of 10 Orchids and 6 Lilies with Green Fillers.